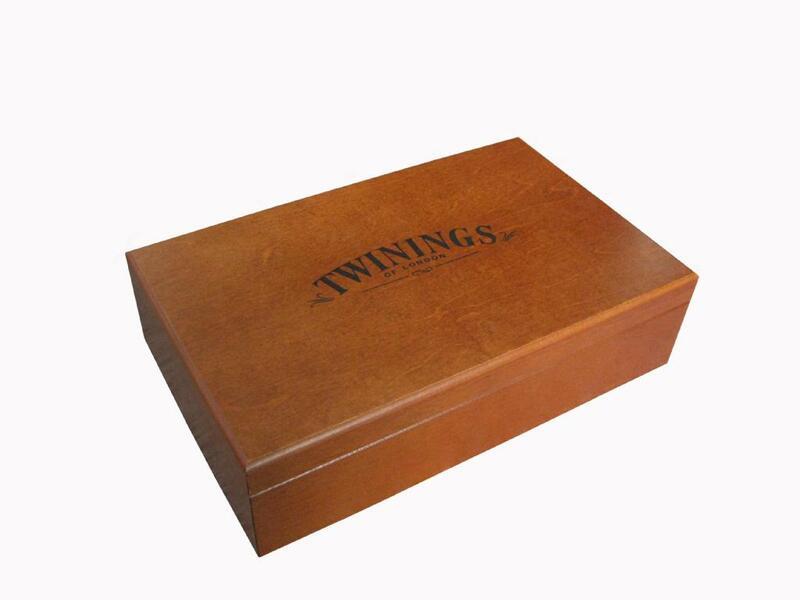 Featured here is a fine Twinings wooden tea box with superior quality. 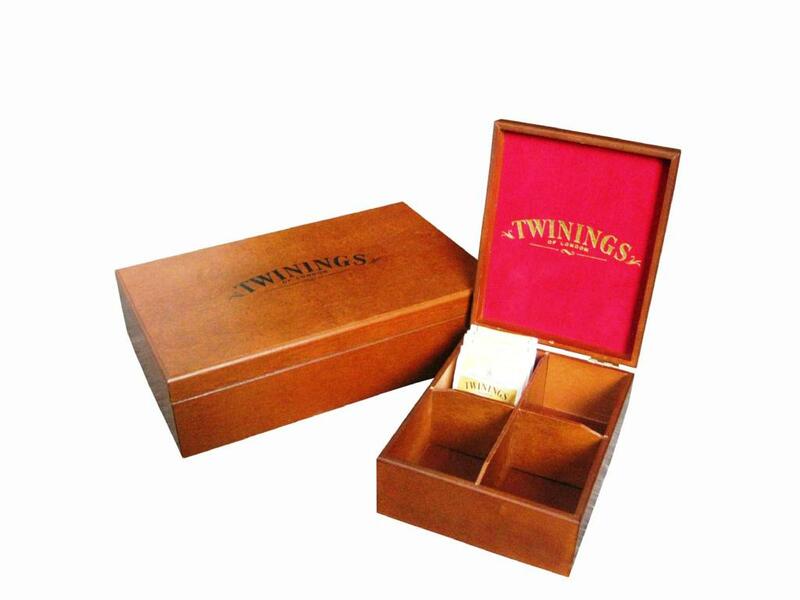 Constructed for one of our customers, Twinings of London, each box has multiple compartments to hold tea bags. Satin wiping stained and varnished to give an antique feel, this tea box is a customer favorite.